Today’s guest came from nothing, at the age of 14 she was left by her mother who thought that being a mom was too hard! Well… Some people break, Others bend. Our guest is the one who bends. Instead of going off the rails, she worked hard to do the best she could with what she had been dealt. Today she is a multi-award winning business woman who has built a hugely successful chain of retail stores, a far cry from being homeless at 14. -Wow, Salena at the age of 14 your mom left how does a kid ever heal from that? -Your dad was gay, but he wasn’t open about it. I’m guessing it was just fear of others opinions? -You moved house over 10 times by the time you were 14, was it due to your parent’s work or business? -You became a The Retail Strategist, can you explain to our audience what that is? -What should I have ready before I approach a retailer? -How can I stand out from other brands and get my products in front of the buyer? -How do I choose which stores to approach? -What do I do if a retailer says no? -How does pricing work, will the retailer want to decide the price? -What are certain mandatory things in packaging? After many years working as an arborist, Salena looked 20 years into the future and realized she did not want what she saw. Despite being the only female managing teams of men, she knew she wanted to take charge of her life. Having come from nothing, she knew she had nothing to lose. This is a woman who grew up in a home without a lot of love, with a mother with a panache for drama, a father who was gay (but was unable to express himself) and moving house over 10 times by the time she was 14. One of the biggest moves of her life was when, at 14, her mother unceremoniously dumped her with other family members because she did not want to “mother” anymore. It was “too hard”. Shipped off the interstate with just a suitcase of clothes, to live with her elderly grandparents. But tenacity is Salena’s middle name and instead of wallowing in self-pity, she began her career as a horticulturist. During the next decade and a half, Salena discovered that she was great at growing businesses. So, she set out to grow her own. In just 7 years, Salena built a hugely successful chain of retail stores, a far cry from being homeless at 14. Now, with a decade of retail experience under her belt, Salena is a multi-award winning business woman, who has been shaped by adversity but always turning these obstacles into profitable and useful ventures. 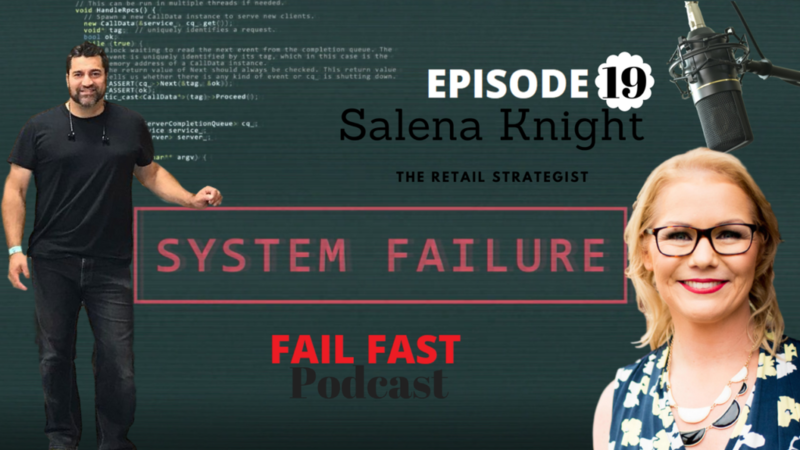 With her straight-talking advice and training, Salena has helped hundreds of retailers around the world, to increase their sales and profits. Winners quit the right stuff at the right time. People settle for good enough instead of best in the world. Being well rounded is not the secret to success.